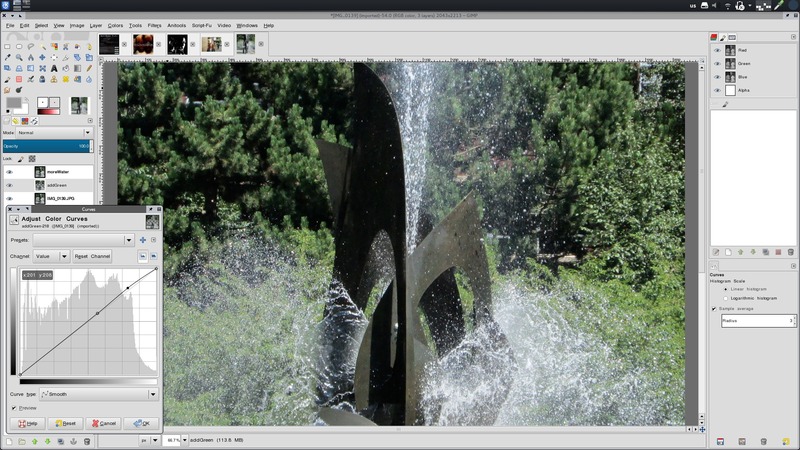 The world famous Gnu Image Manipulation Programme, with hundreds of plugins from the Gimp Registry and GMIC, is ready to take on all of your digital photography, retouching, and compositing needs. Illustrate with beziers and splines in the most intuitive, yet powerful, vector-based drawing application available. 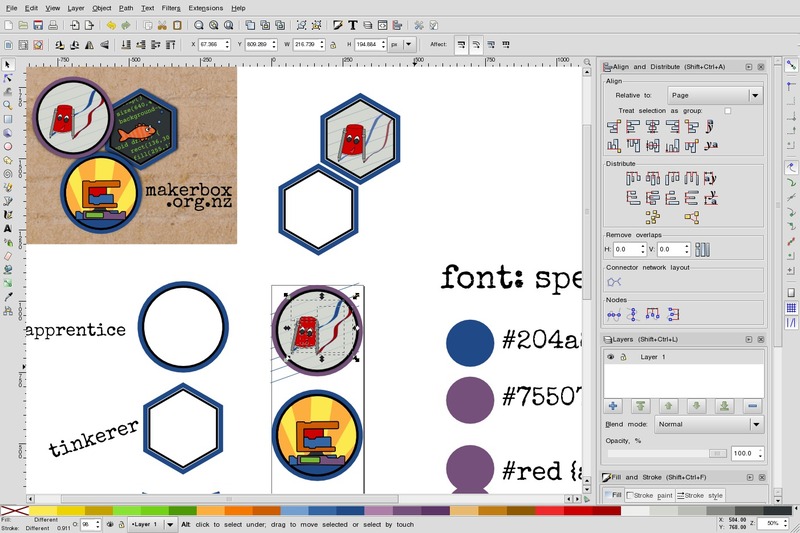 One good session with Inkscape usually means an Inkscape user for life. Drawing beautiful images with digital material emulation should not be this easy. 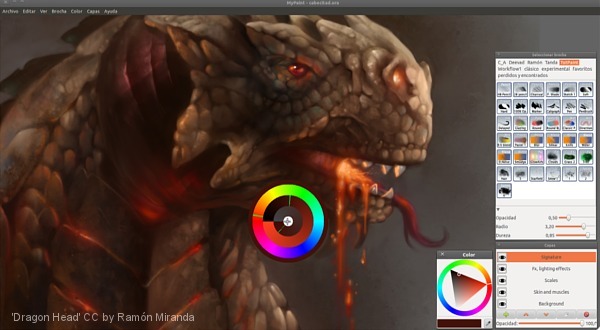 Mypaint provides a simple and minimal interface, while Krita emphasises configurability. Either way, in an artist's adept hands, the end result is a gorgeous work of art. Page layout, magazine spreads for both digital and print delivery, built-in PDF pre-flight options, CMYK conversion, and more. 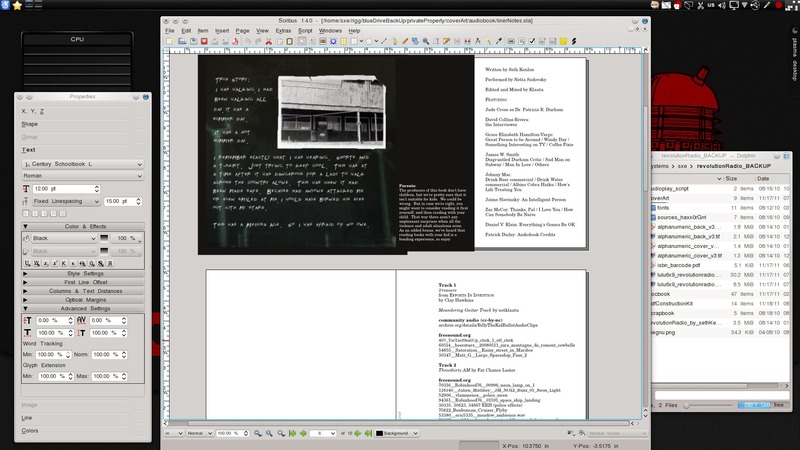 If you are making bound material and want it to make an impact, make it with Scribus.